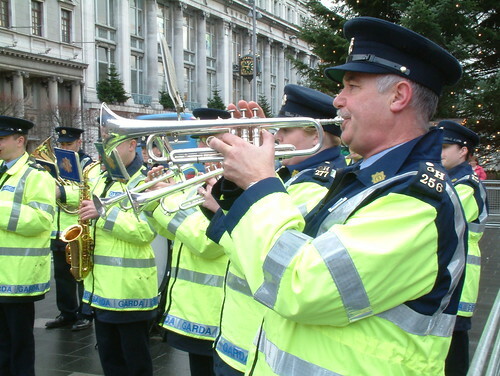 Gardai target Irish surfers music collections. After searching two surfers cars in Strandhill, Co. Sligo, Gardai were shocked to find that neither car had any Jack Johnson in their music collection. Sgt. John Mc Mullan described it as a blow to their previous conceptions of surfers, “Its like they just blatantly dont listen to him!! They didnt even have the Thicker Than Water Soundtrack”. The find was made even more shocking by the lack of any Jurassic Five or Bob Marley on their Ipods. The occupants were also said to have dismissed Donovan Frankenreiters solo album as bland and cliched. The gardai brass band is playing some Jack Johnson and Hip hop at breaks around Ireland in order to stamp out this in future. Disseminating the true core surfing news in the world of Irish Surf corporation hype, Irish surfcore brings reports that affect the lives of our true Irish core surfers. Rss this site to get the low down on whats up. New Sterling Spencer Action Figure Now In Stock! better_then_a_kayak on Can you Canoe?